Clinic Synopsis: This presentation is for music educators that have beginning woodwinds, brass, and percussion in the same class. 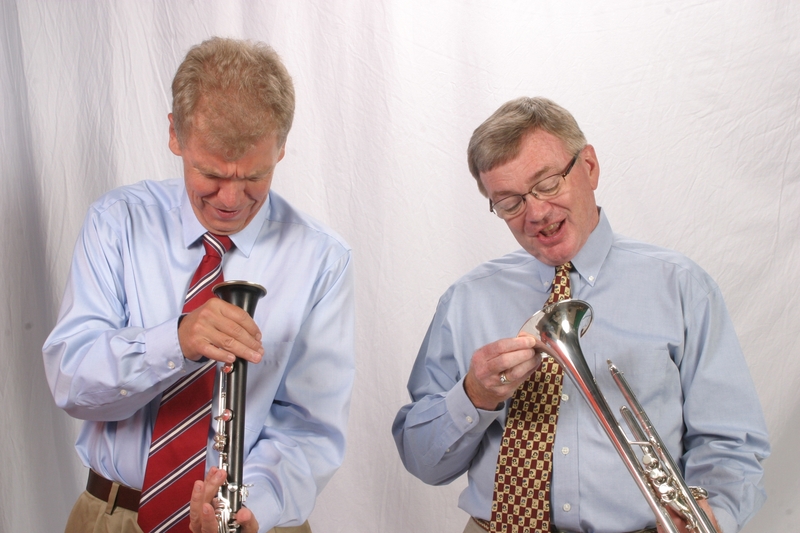 A woodwind specialist and a brass specialist compare and contrast the way they approach teaching beginning band in instruments within and outside their specific areas. Topics will include specific starting techniques related to posture, breathing, warm ups, and specific pedagogical techniques to train, educate, and retain beginning band students. Clinician Biographical Information Steve Litwiller started his teaching career at Leeton, Missouri in 1978. He taught in Gallatin 4 years, and then moved to Boonville, where he taught instrumental music for 30 years. He retired in the May, 2013, and is now serving as adjunct professor of music at Central Methodist University. He performs regularly with the Sauerkraut Serenaders and the Roadkill Clarinet Quintet. In August of 2014 he was a Guest Artist at the International Clarinet Association Clarinetfest in Baton Rouge, Louisiana. He received his Bachelor of Science in Music Education and Master of Education degrees from the University of Missouri-Columbia. Mr. Litwiller served two terms as President of the West Central Missouri Music Educators Association, is a Past-President of the Missouri Bandmasters Association, and is currently the Mentoring Chair for the Missouri Music Educators Association. In 2010 he was named Missouri High School Activities Association [MSHSAA] Music Educator of the Year. In January 2013, he received the Phi Beta Mu Missouri Band Director of the Year Award. In June of 2014 he was awarded the Missouri Bandmasters Association "Hall of Fame Award." He is a member of the International Clarinet Association, the National Association for Music Education, and Phi Beta Mu. He has been active as an adjudicator and clinician in Missouri, Iowa, Kansas, Oklahoma, and Nebraska the past 30 years. Second Clinician Biographical Information Paul Copenhaver was band director in the Moberly Public Schools for 33 years, retiring in 2006. He currently teaches band at St. Pius X School in Moberly, and is Music Director of the Columbia [MO] Community Band. He has served as a guest conductor for several all-conference and all-district bands, as a clinician at various state, regional, and national conferences, and has a number of published articles in professional journals and magazines. Mr. Copenhaver served as Chairperson of the Missouri All-State Band [1990-1992], and as President of the Missouri Bandmasters Association [1992-1994]. He was Northeast Missouri Music Educators Association Band Vice-President from 1978-2003, and NEMMEA President from 2004-2006. He served as President of the Missouri Music Educators Association [2008-2010]. He also serves the Missouri State High School Activities Association as an instrumental music adjudicator trainer, and on the brass subcommittee for the MSHSAA Prescribed Graded Music List. Additionally, he has judged bands in Missouri, Illinois, Kansas, Iowa, Indiana, and Ohio. Outstanding Music Educator Award in 2006. He was elected to the Missouri Bandmasters Hall of Fame in 2010, the Missouri Music Educators Hall of Fame in 2014, and the Moberly Public Schools Distinguished Educators Hall of Fame in 2017.Mr. Copenhaver is a charter member of the International Trumpet Guild, a member of the National Association for Music Education, Missouri Music Educators Association, Missouri Bandmasters Association, National Catholic Band Association, NFHS Music Association, and the National Education Association. He regularly performs with the Harmonium Brass Quintet, ShowMe Brass Band, and the Sauerkraut Serenaders, and is active as a trumpet soloist, performing recitals and with several ensembles.